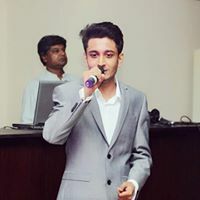 Shahrukh Khan is a self taught musician/singer who is currently an undercover singer from Islamabad. Shahrukh has done many covers. He performed at various occasions in Islamabad and got alot of appreciation. He's doing it all alone, without any band but still you guys will love his work. Just give his songs a listen and experience a fresh soothing voice.